Great news! On 27 December 2014 Monique Forestier sent Tiger Cat (33, 8c, 14b) at Elphinstone, here in the Blue Mountains. Monique on the last hard move of Tiger Cat. 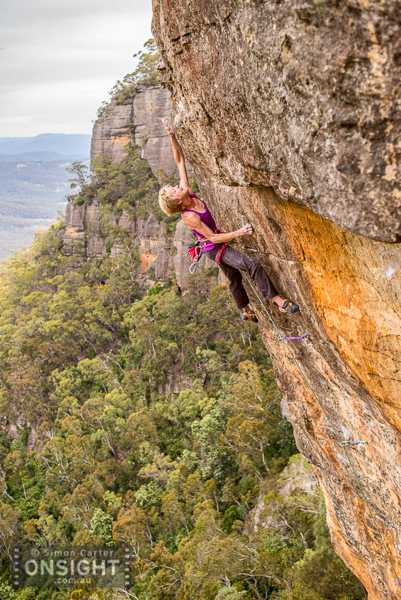 Monique is the first Australian woman to climb routes graded 31, 32 and 33 and this is her second route at grade 33. Monique has written about the send and the process she went through to finally nail this project; check that out on her blog –> here. She doesn’t talk about the injuries and distractions along the way, but none of that matters now. I’m super psyched for her and proud that she stuck to her guns. 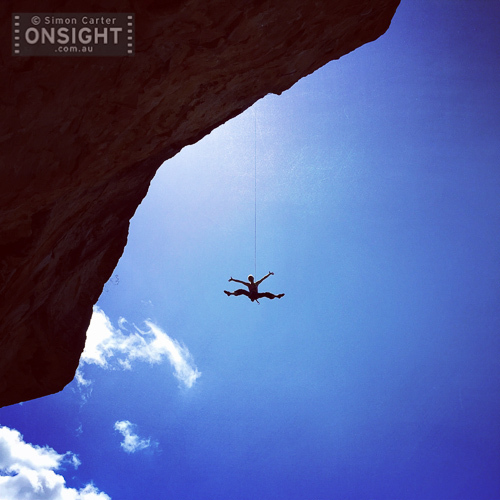 As her belayer that day it was great to see the send; perfectly executed and an electric moment at the end. A great achievement. Congratulations Monique! Be sure to follow her on Instagram –> here.